Hello to all my readers and welcome to week three of my blog! Yes, this is a happy milestone for me, hopefully one of many to come as I go along on this food blogging journey. A friend and I were chatting a couple weeks ago and the subject of Meatless Monday came up. For those of you who aren’t familiar with this concept, Meatless Monday is an international movement started in association with Johns Hopkins University in 2003 to promote personal and environmental health by cutting meat out of your diet one day a week. This concept isn’t entirely unique, during both World Wars Americans at home went ‘meatless’ or ‘wheatless’ once a week to help out with the war effort. At my house, we don’t go vegetarian every Monday, but I do make a meatless dish a least once a week. It just may be on a Thursday instead of Monday! So what is the significance of going meatless on Monday? Read more here! In the spirit of the MM movement, today’s recipe is for a salad that is anything but boring. 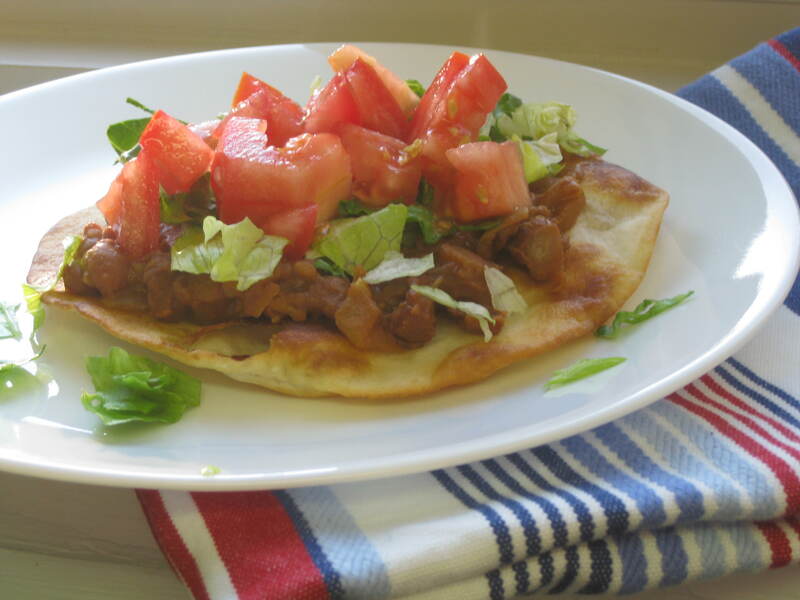 It’s infused with Mexican spices like cumin and smoked chipotle pepper and has an amazing crunch from homemade tostadas. Intrigued? Read on! 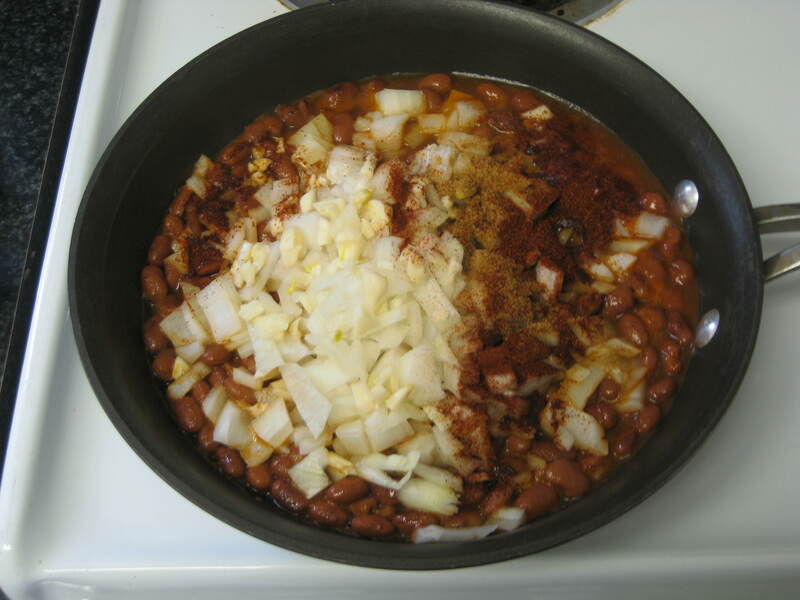 And add them to a skilletfull of your favorite beans, along with some cumin and chipotle pepper. Start breaking up some of the beans by smushing them with the back of a large spoon. This makes the dish creamier. Now you are ready to assemble your salad. 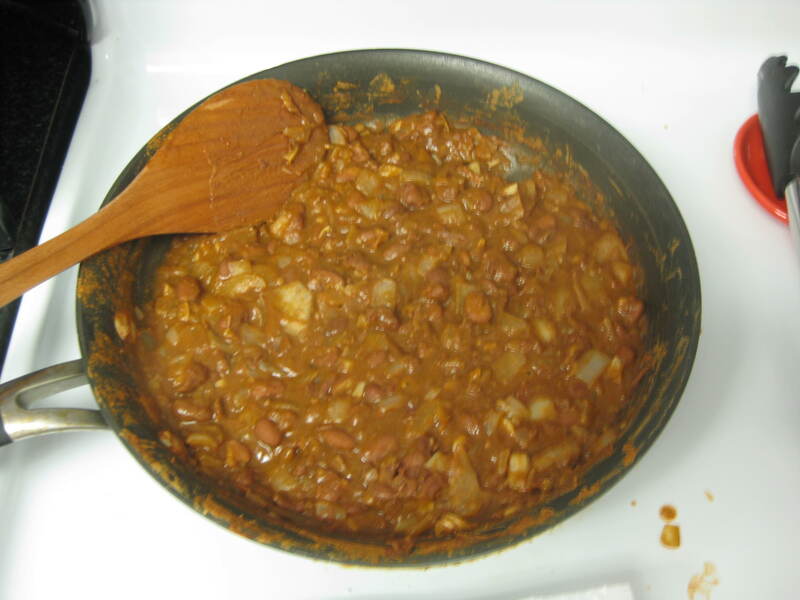 In a large skillet, combine beans, garlic, onion, water and spices. 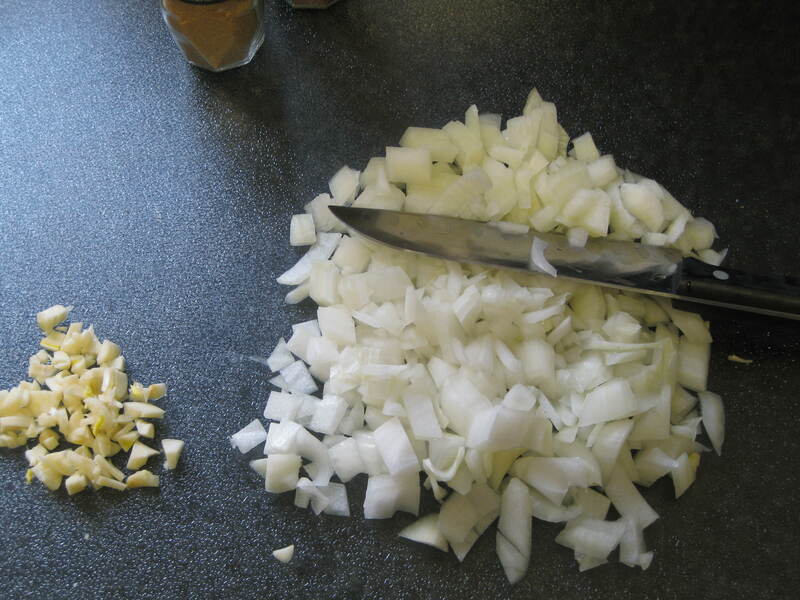 You could sautee the onion and garlic first but I just threw them in raw to simmer along with everything else. Bring the mixture to a quick bowl, then turn heat down to low and simmer for about 30 minutes. Occasionally, break down some of the beans with the back of a large spoon and stir. 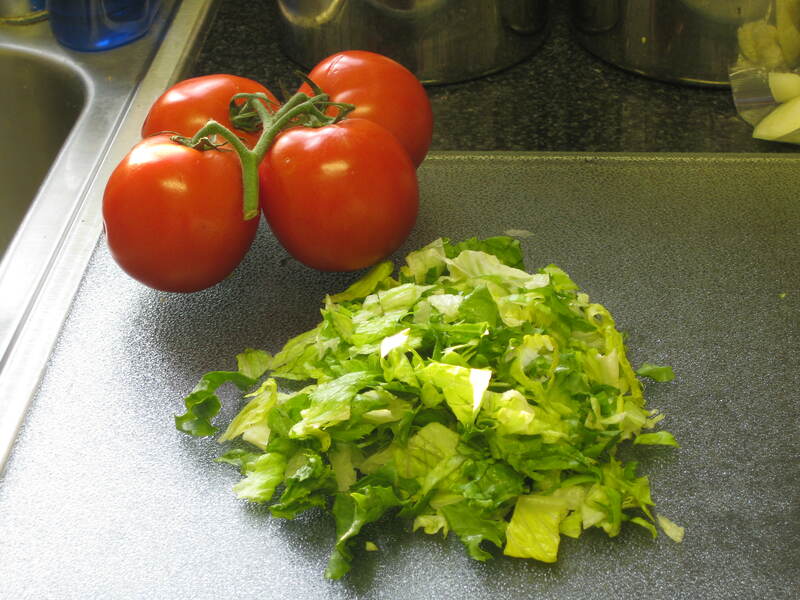 Shred your lettuce and dice the tomatoes now, set aside. Heat 1 tbl vegetable oil in a medium skillet over high heat. 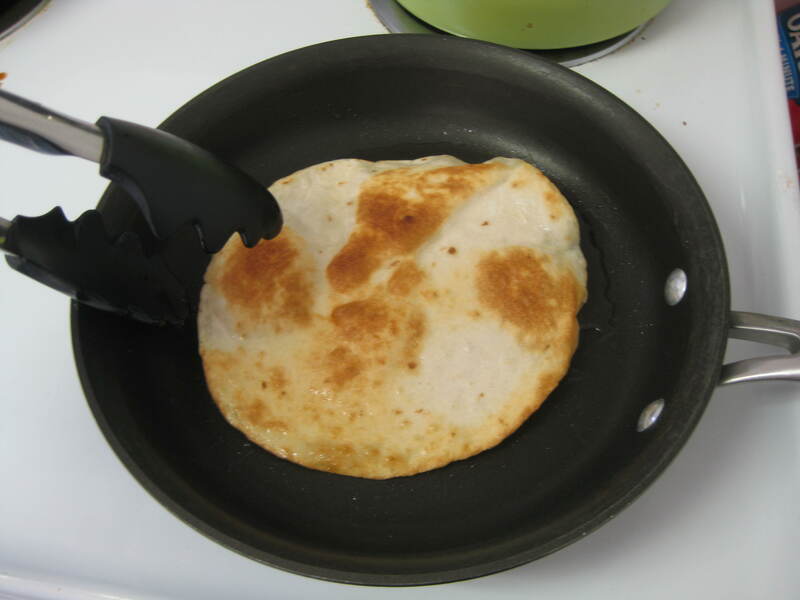 Add a small tortilla to the oil and cook until bubbles begin to puff up and it looks browned around the edges. 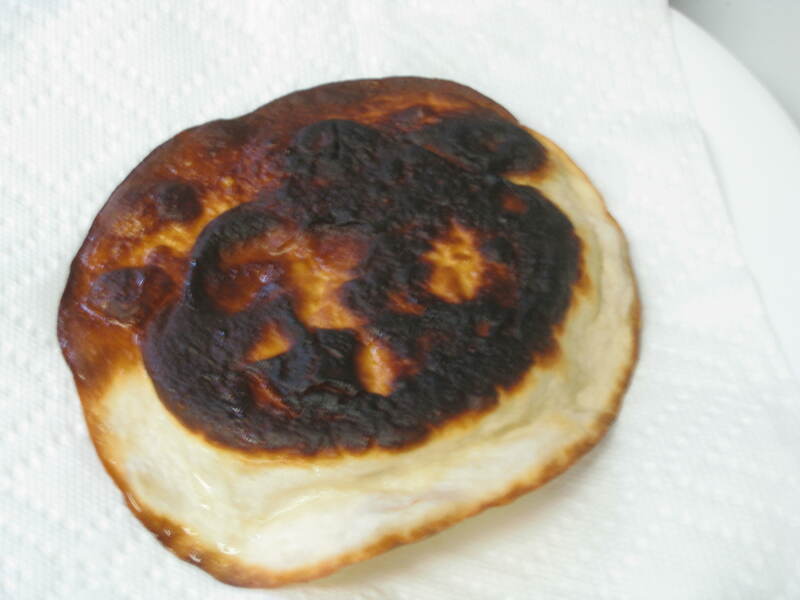 Turn to cook other side. 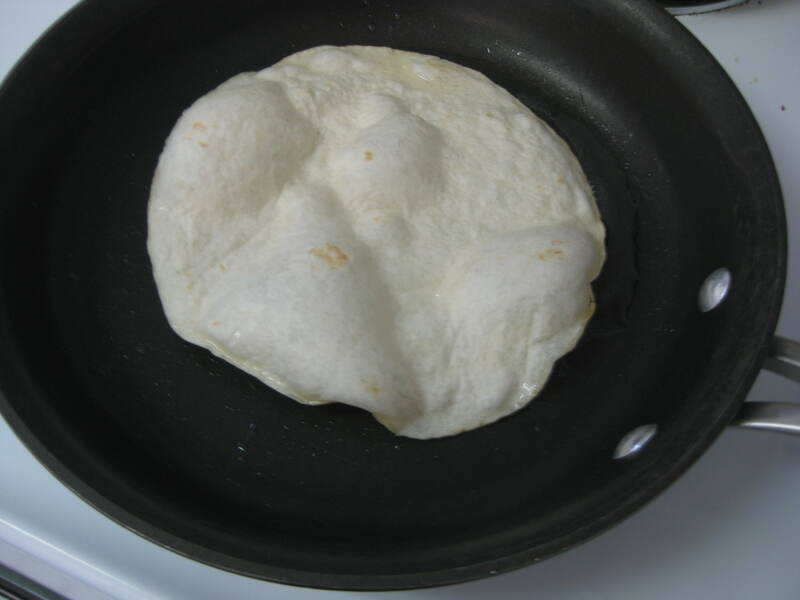 When finished, place tortilla on a paper towel covered plate. 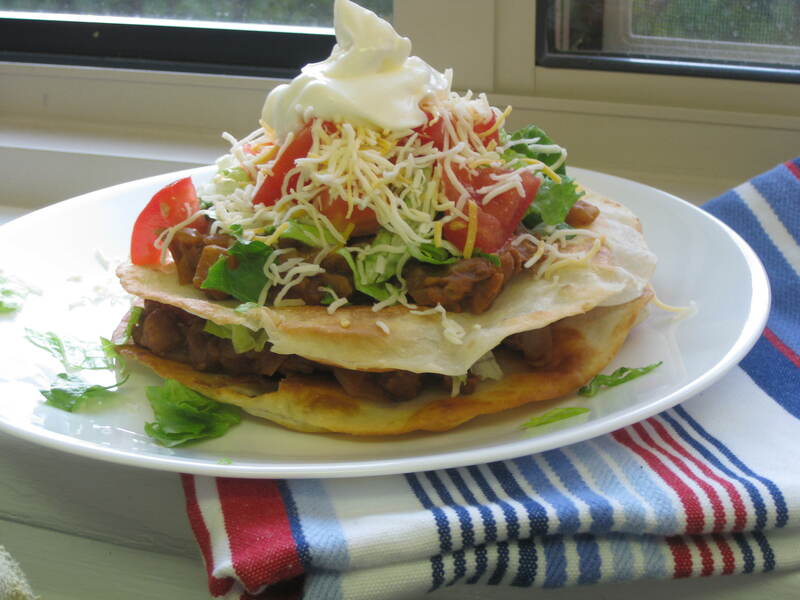 You may need to add more oil, a tbl at a time, as you cook the remaining tortillas. 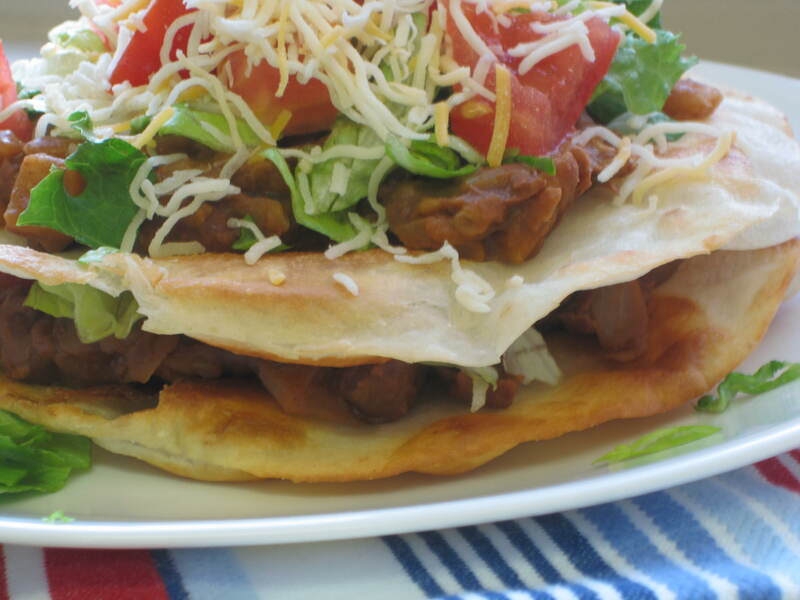 Daily Question: Do you have a favorite Meatless Monday recipe? 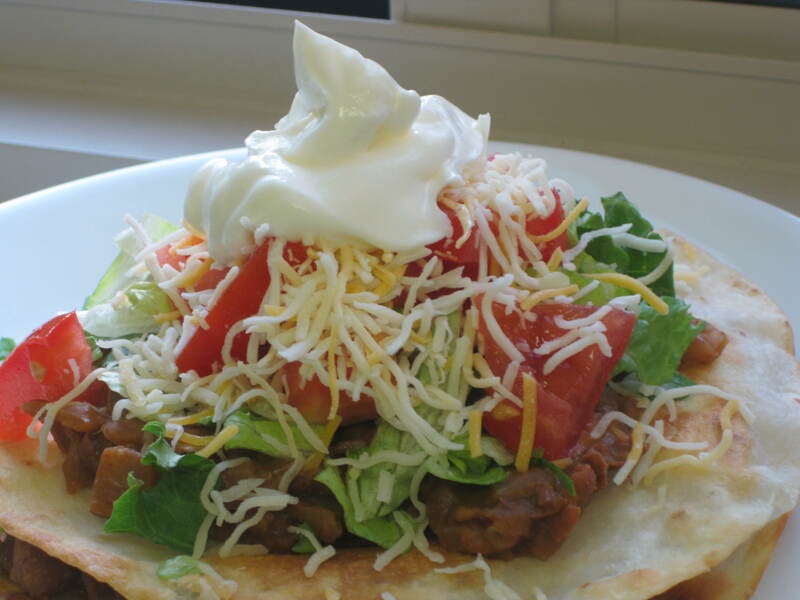 This entry was posted in dinner recipes, vegetarian and tagged beans, meatless monday, mexican, salad, tostada, vegetarian. Bookmark the permalink. ← Will Ferrell’s Favorite: Meatloaf! Looks great! and I love the Meatless Monday concept. Thanks Tami 🙂 I hope to do more MM posts in the coming weeks. Two Time Jam Champion at the State Fair! Support DC State Fair today!